6 monthly Dental Checkup – Relevance and Importance!! 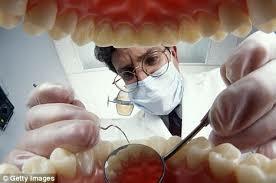 Once a dentist, always a dentist, time, place and occasion does not matter. 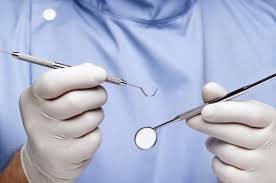 Whether I am at my clinic or a social gathering or a family get together, as soon as people get to know my qualifications one question pops up inevitably, “do I really need a six monthly dental checkup”? And obviously I always end up answering in affirmative and then follows the series of explanations regarding a particular mouth!! The most debatable topic is,” I brush twice daily and use mouthwash too but still end up having less beautiful teeth than any random person who is not very regular with his or her oral hygiene regime”. I hate answering in questions but the most appropriate and to the point answer would be “why my face or for that matter fingerprints does not resemble yours”? Yes in this one sentence lies the answer. Actually enamel along with fingerprints, faces and iris of eye is one of the few structures in human body which is unique to an individual. Of course it is genetically determined but still holds it’s identity. As every skin colour is different so is the shade of enamel which determines the colour of your teeth some are pearly white while others maybe slightly off white. As the texture of your hair differs so does the surface qualities of enamel, some are thick layered, non porous and smooth while others have micro porosities and are thin layered. This factor eventually describes your different dental needs. May be you are keeping up with good oral hygiene regime but your different dental makeup defines your tendency towards dental decay or having gum problems or for that matter just the basic staining and tartar deposits. Having said that I would also like to mention that this does not mean one can not have a healthy mouth. It is just similar to any inherited heart disease or maybe diabetes where if you work sincerely towards keeping up well you really can be successful. Now coming back to the basics. During your daily routine of brushing, flossing and mouthwash you generally clean that thin transparent layer which is formed after a day’s eating but the microstructure of your tooth will allow few things to settle into it hence the discoloured deposits will be there which can not be cleaned by brushing alone. It needs professional help which is the dentist. A six monthly checkup with the dentist will also help catch all other decays or manifesting diseases at the earliest stage. More important for the diabetics and pregnant ladies as the signs of hormonal changes in body is seen very early in mouth. If we let tartar stay for long on our teeth it will harbour bacteria and hence affect bone level too, which will expose nerve endings in dentin hence the sensitivity and all. Hence my sincere advice to all my friends and peers to please get your six monthly dental check up scheduled for it is very important to keep up with good oral health and also relevant in terms of a better overall health as I earlier also stressed that a healthy mouth is definitely a beginning of healthy body!!! 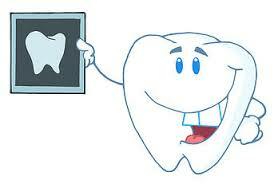 GET YOUR DENTAL REPORT CARD TODAY!! This entry was posted in dental follow up, dental health, healthy mouth, healthy smile and tagged confident smiles, dental health, Gum Disease, healthy mouth, healthy smile, mint leaf dental wellness. Bookmark the permalink. ← DENTAL HEALTH AND A CHILD’s DEVELOPMENT – ARE THEY RELATED?